Living in the desert, and being active, it's important for me to stay hydrated and at the same time fuel my workouts with electrolytes. That being said when it comes to food and drink I'm an all natural kind of girl and not willing to drink a beverage that has been artificially enhanced even if it means my performance will suffer. That's why I was intrigued by Kona Deep water. A Hawaii based company, Kona Deep offers hard to obtain deep ocean water that is naturally rich with electrolytes. Unlike other performance waters that have to add in their electrolytes Kona Deep has nothing added or artificial in it. The purity of the water is the result of the extreme cold and darkness found below the oceans surface. It is my understanding that Kona Deep uses a unique method to bring the water to the surface and desalinate and bottle it at the source. 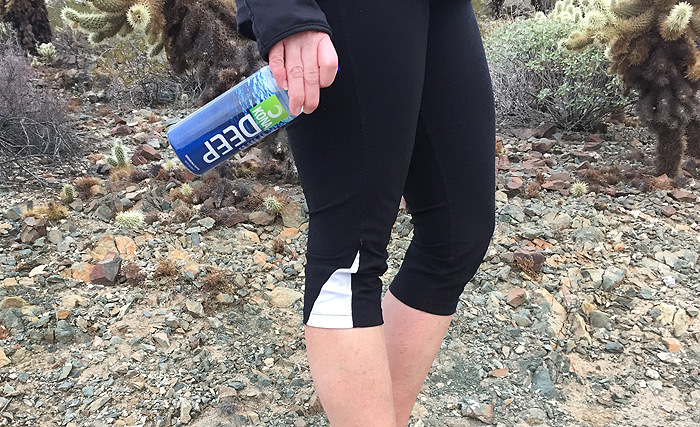 Refreshing, light, and completely additive free, Kona Deep is an effective way for me to get the hydration to sustain my healthy, active lifestyle. 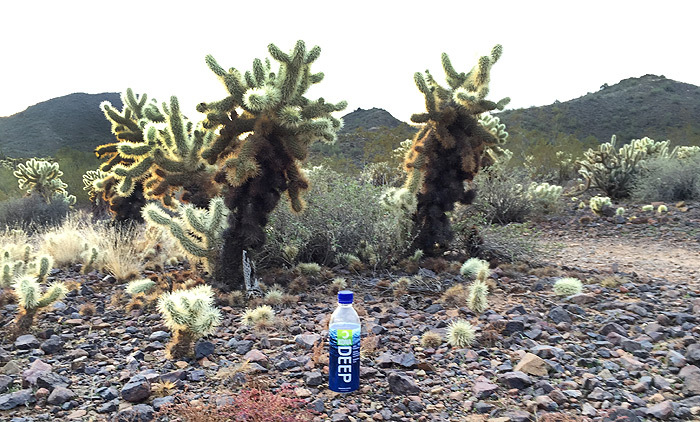 If you workout or just want a high performance beverage that is completely pure it's time to #RethinkYourWater options and give Kona Deep a try. New to the Arizona market, Kona Deep is currently available in two sizes, at Sprouts Farmer's Market, AJ's Fine Foods and Basha's locations throughout the state of Arizona. Not in Arizona or Hawaii, Kona Deep is also available online at amazon.com. Be sure to follow them on Twitter and Facebook for all the latest information. And the winner is: Nancy! Please send me your mailing address. Didn't know water could be so complex. Very cool! I live in the desert so need lots of water. I love that there's nothing artificial in there! It's important to me to #RethinkYourWater, since water is the building blocks to your body. I have been hearing alot of great things about Kona Deep lately. I love that it contains electrolytes and minerals which are essential to the function of our cells and organs. This will help keep your body hydrated during your workout or physical activity! Sounds like an awesome option! I've never heard of this before. Sounds pretty cool! I am terrible at drinking enough water. I need this! I've been trying really hard to drink more water - this sounds great! Good tips! I will sure this with my health junkie hubby! He loves this stuff! I love Kona! We visit the Big Island all the time and it's one of our faves! This sounds great! Love Kona! I'd love to try out this water! It's incredible how the same stuff can taste sooo differently! It's so important to drink lots of water and this sounds great! Getting enough water is so important and the quality of water you drink is just as important. I never heard of deep water before. I can't wait to try some. Never heard of it, sounds interesting! I've never heard of this but would love to try it. #Rethinkyourwater Its so important to have electrolytes daily to give you that extra!!!! Would love to try something new! Anything to stay hydrated and not feel completely drained at the end of a workout! I teach tennis so I’m on court for the majority of the day and get to play as well. It’s something that I love to do but I can definitely tell the difference on days that I’m hydrated and days that I’m not properly hydrated. I have more energy, more alert and feel better when I’m hydrated! Sounds like a great new water to try after my workouts.